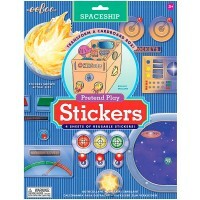 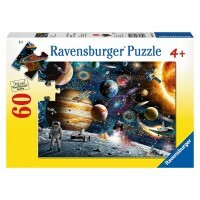 This highly detailed 20 pcs Hape Four-Stage Rocket Ship will make your young space explorer's imagination skyrocket! 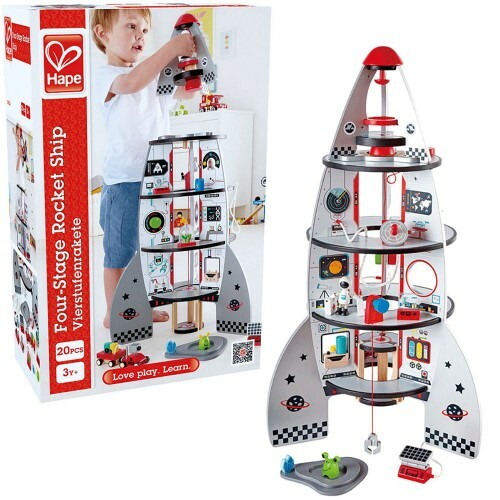 Get ready for blast-off of imaginative play with this amazingly detailed spaceship by Hape. 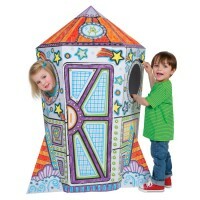 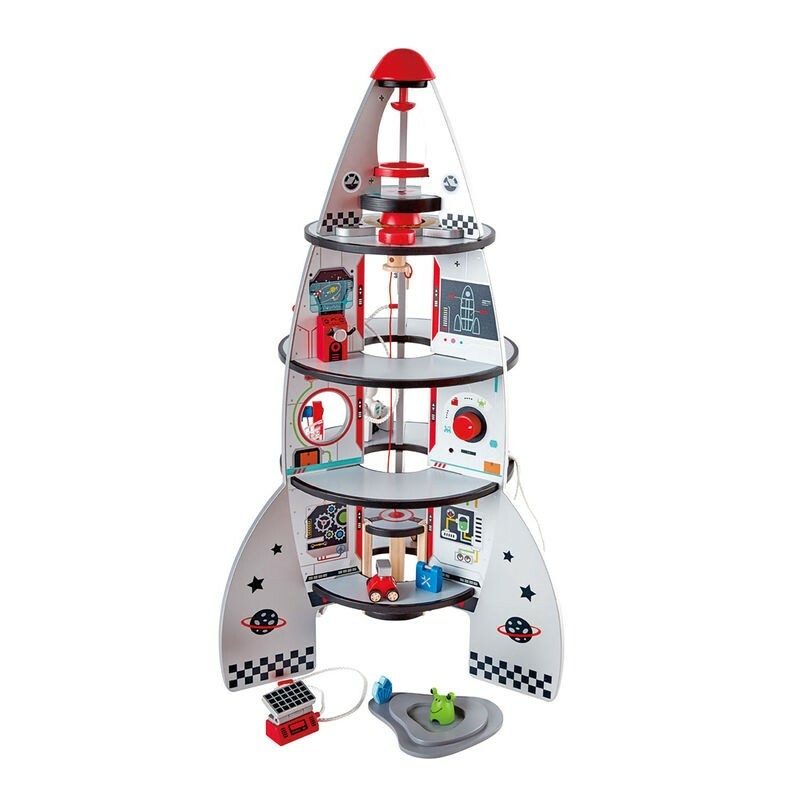 This large lift-off rocket play center will make your young space explorer's imagination skyrocket! 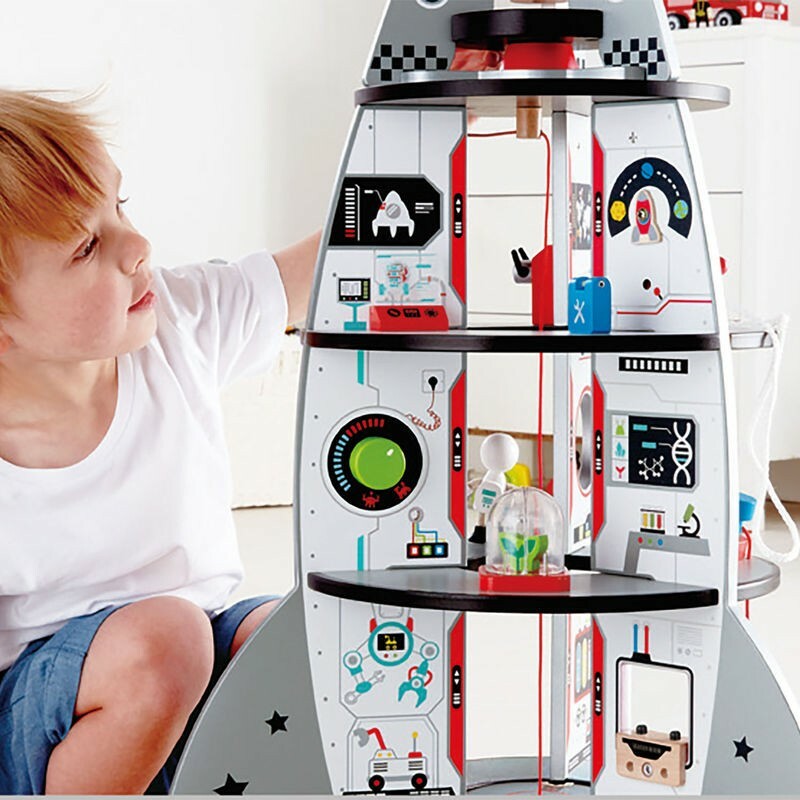 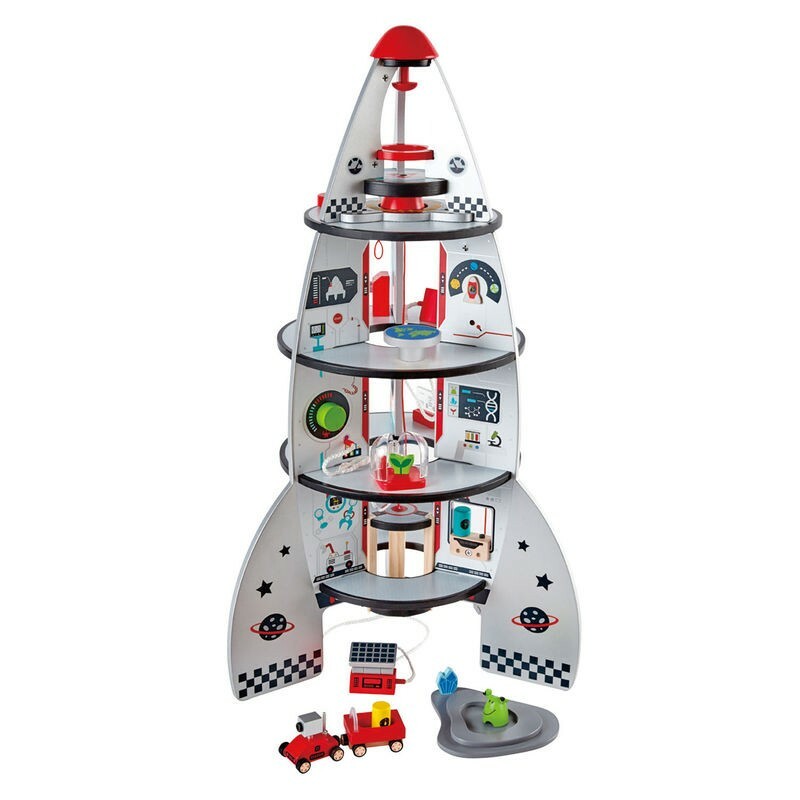 The Four Stage Rocket Ship Deluxe Space Playset comes with 20 play pieces including a 4-level beautifully designed spaceship with areas of mission control, space lab, engineering lab - all connected by a working wooden elevator. 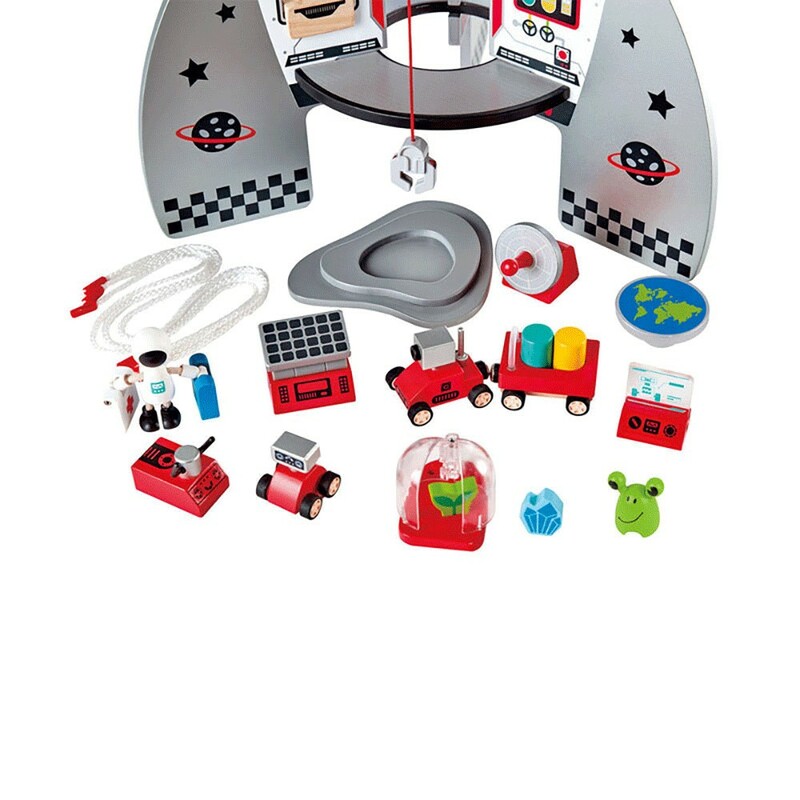 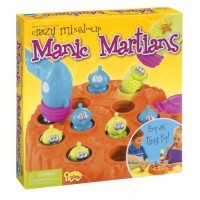 This jumbo toy rocket set includes astronauts and aliens toy figures, wheeled robot, moon walker, magnetic spaceship utility vehicle, solar panel, planetary lander, and much more to stimulate endless pretend space adventure game for boys and girls. 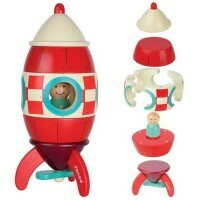 The deluxe rocket playset is quality made from Baltic Birch plywood with non-toxic finish. 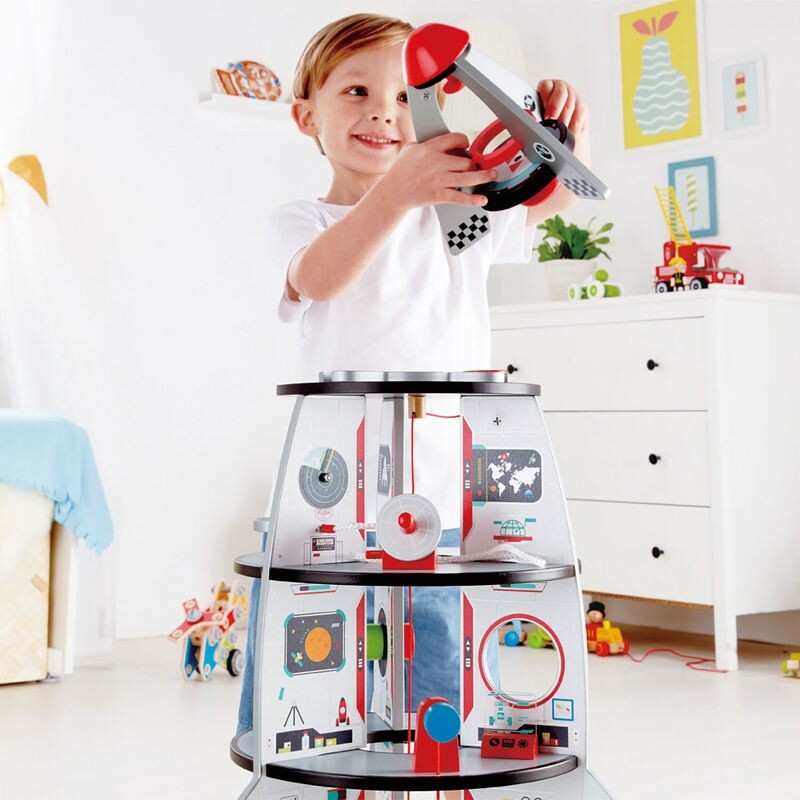 This unique space play center requires some easy assembly. 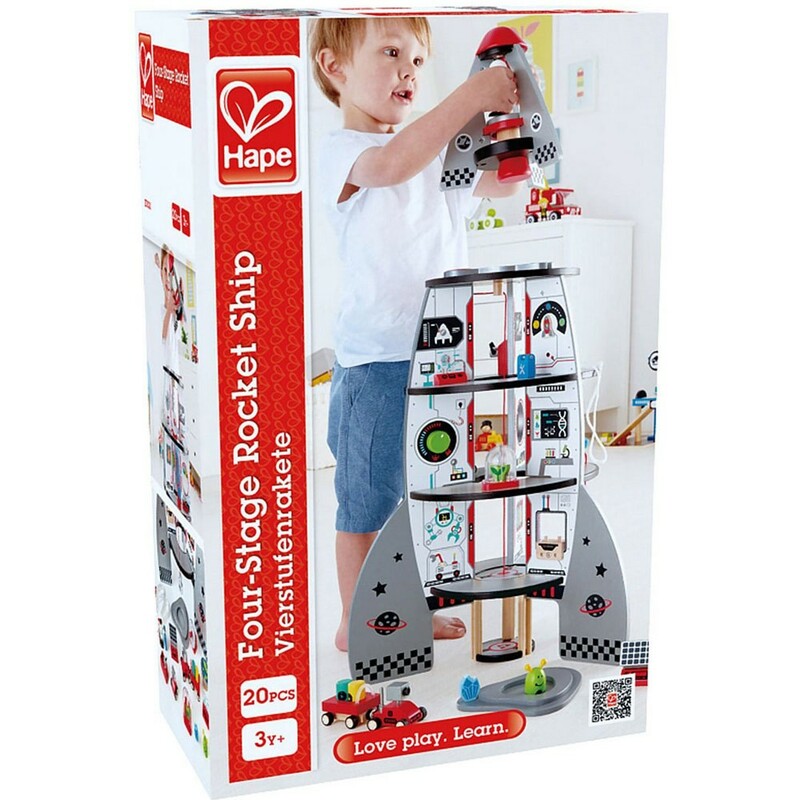 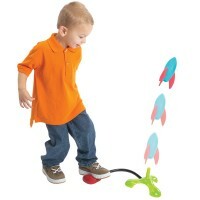 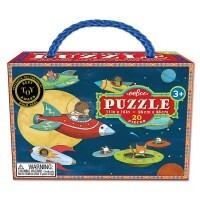 Hape's rocket ship set is one of the most favorite boys' holiday and birthday gifts! 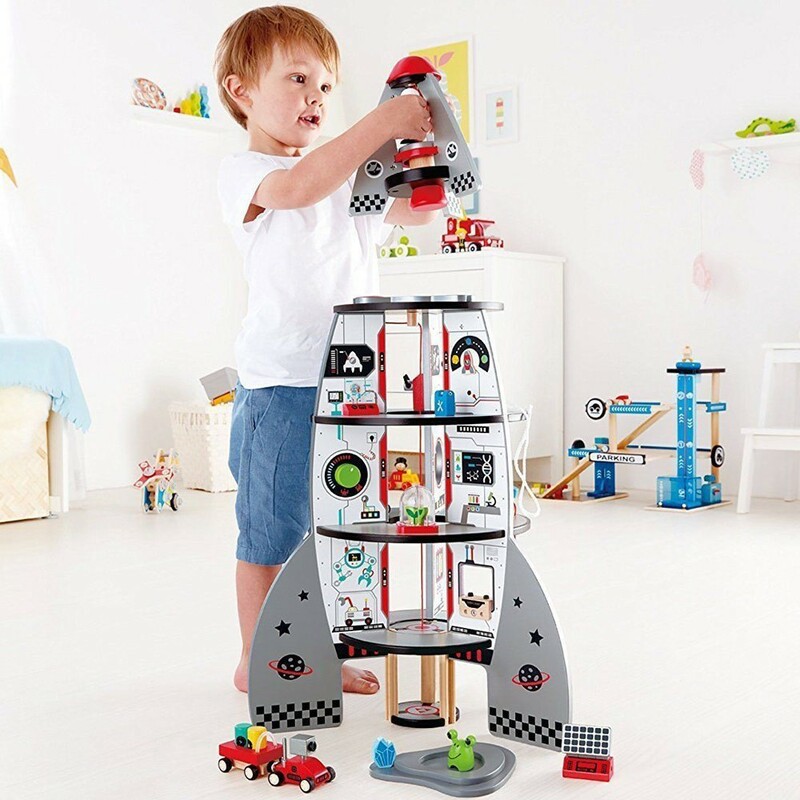 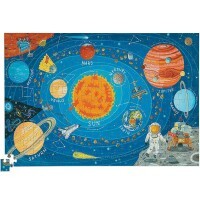 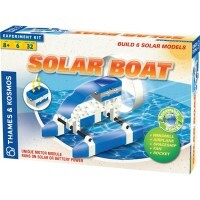 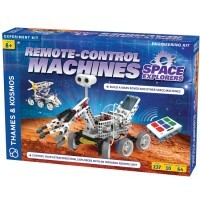 This giant spaceship from Educational Toys Planet will bring hours of super fun make-believe play time! 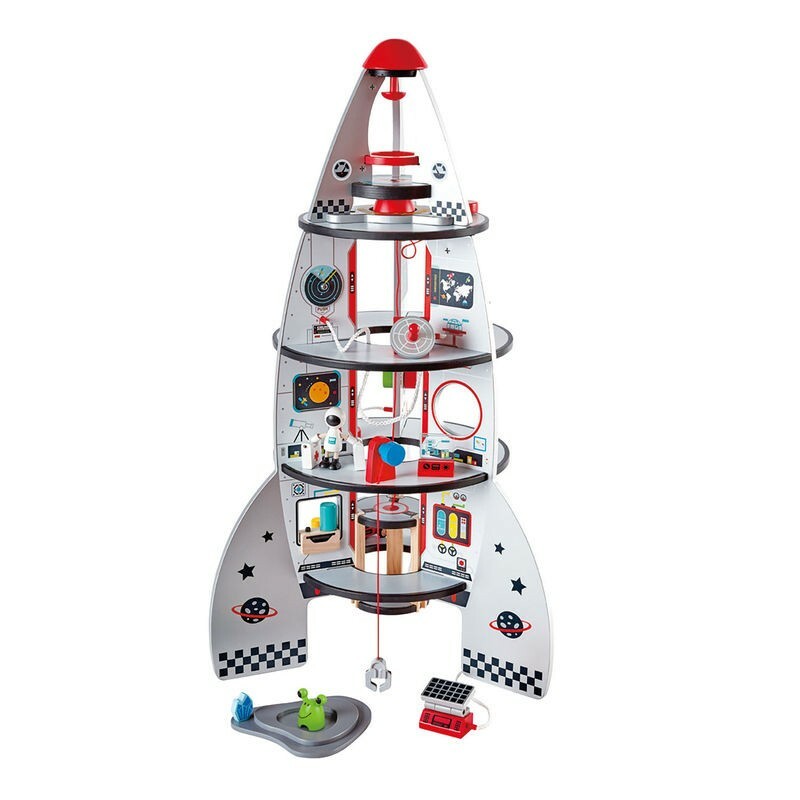 Dimensions of package 7.09" x 14.17" x 22.44"
Write your own review of Four Stage Rocket Ship Deluxe Space Playset.